Singaporeans are spoilt when it comes to the variety of food that’s available. There’s at least one new franchise opening an outlet in Singapore every month. Recently, Isaac Toast opened in Plaza Singapura’s basement. 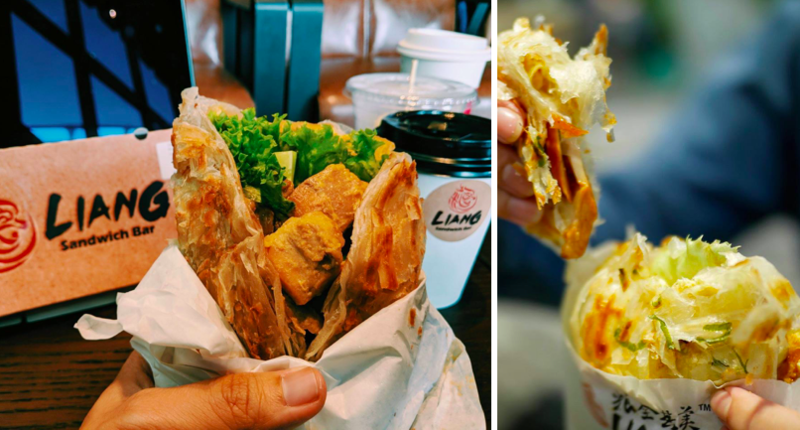 Now, Liang Sandwich Bar from China has opened its first outlet in Singapore at Vivocity! The sandwiches at Liang Sandwich Bar aren’t made with bread. What’s used instead, are scallion pancakes that come with fillings such as chicken, shredded lettuce, egg crepe, and sauce. 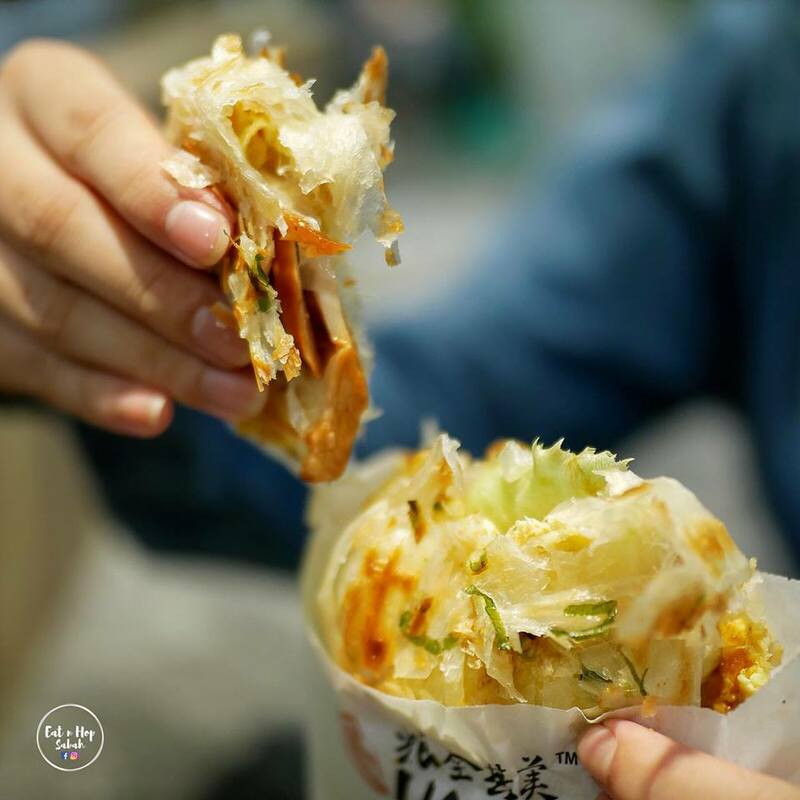 Endorsed by iconic Taiwanese singer-songwriter, Jay Chou, Liang Sandwich Bar has over 12,000 outlets across 300+ cities such as Mainland China, Hong Kong, Japan, United States of America, Canada, Malaysia, Indonesia, Thailand, and now Singapore! If you’ve tried and love scallion pancakes, you’ll love this. Scallion pancakes are much more fragrant than toasts and already hold plenty of flavour on its own. 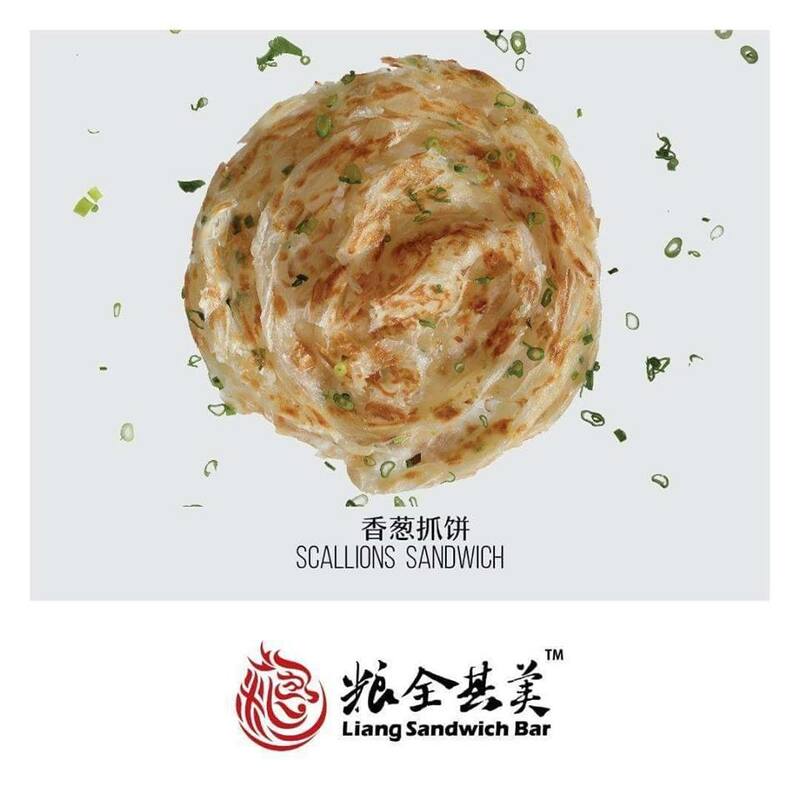 Throw in traditional sandwich ingredients and you have a Liang scallion pancake sandwich. There are 9 different scallion pancake sandwiches on the menu for you choose from. 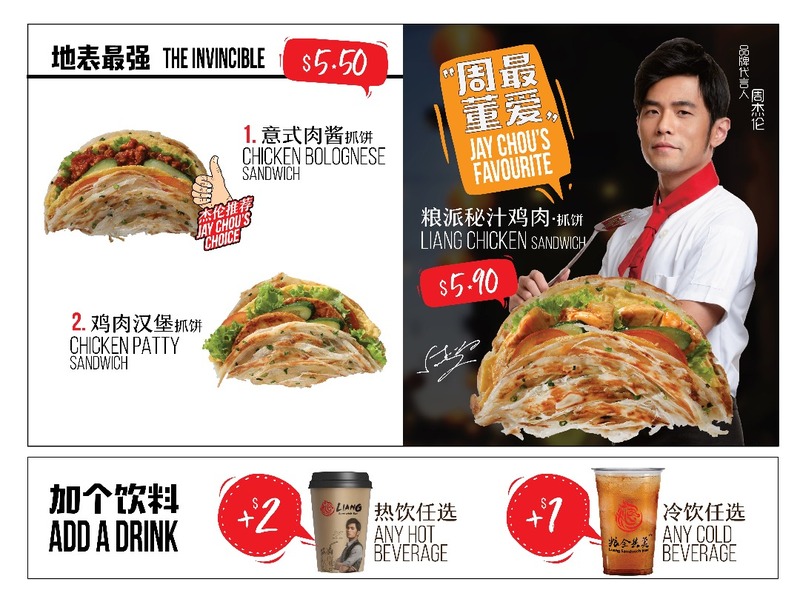 The Chicken Bolognese Sandwich ($5.50) and the Liang Chicken Sandwich ($5.90) are both recommended by Jay Chou. 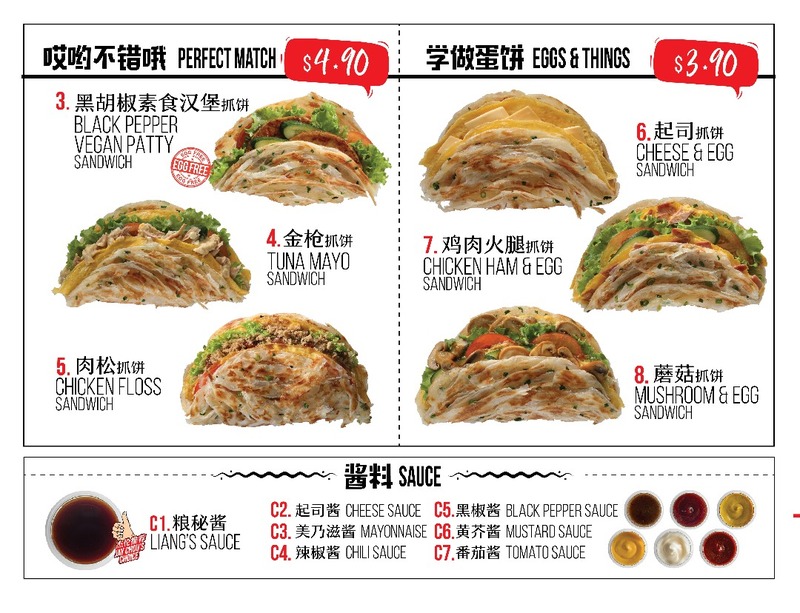 The Liang Chicken Sandwich comes with savoury smoked chicken, shredded lettuce, egg crepe, and a sauce of your choice. You can also choose the type of sauce you’d like to have in your sandwich. The recommended sauce is definitely the Liang’s Sauce that’s made from a special secret recipe. 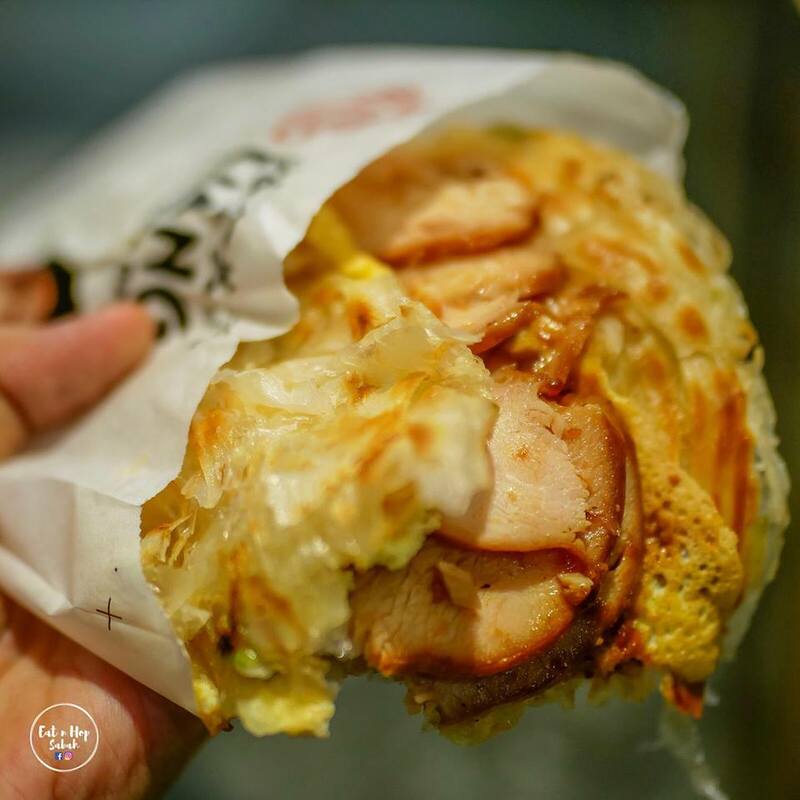 Recently, Food League SG’s Zermatt Neo paid them a visit and scarfed 10 of the scallion pancake sandwiches. 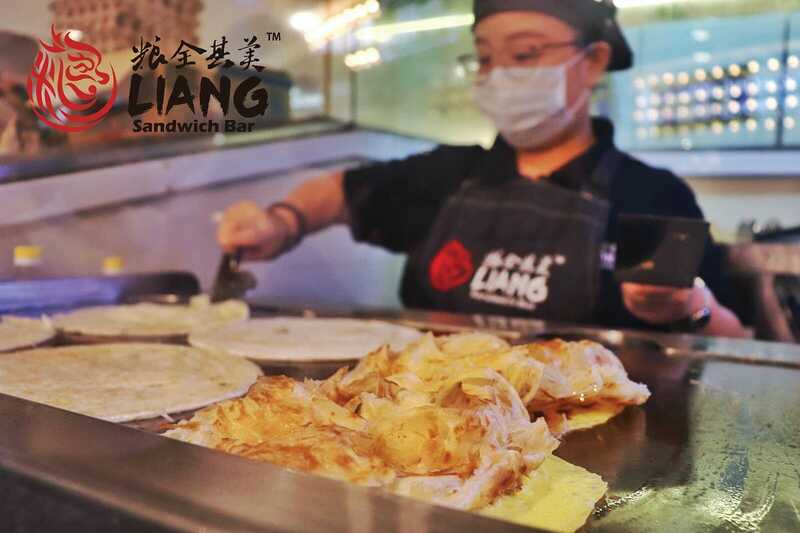 If you’re looking to get your hands on one of Liang’s scallion pancake sandwiches, better expect to queue and wait for a bit because each one is prepared upon order. Anybody hungry for a scallion pancake sandwich? Because WE ARE.